Happy Mother’s Day from Medieval Times, Atlanta! Mother’s Day is just around the corner! Celebrate ROYALLY by treating mom like a Queen! 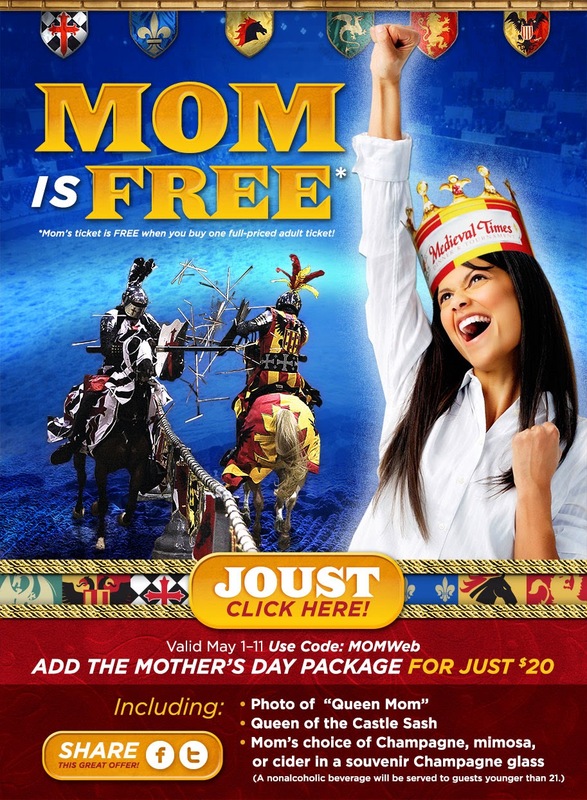 MOMS ARE FREE* this Mother’s Day at Medieval Times when you buy one full priced adult ticket! Offer valid NOW though May 11th. Visit bit.ly/MothersDayMTatlanta for more information and to secure your tickets. WHAT: Mom’s are FREE* Mother’s Day Weekend! HOW: Book online (bit.ly/MothersDayMTatlanta) or over the phone (1-888-WE-JOUST) with code MOMWeb. *With the purchase of one full-priced adult admission.